84mm Grade 1 Natural Manila Rope sold cut to length by the metre. Please enter the length required in metres in the quantity box below. If you would like more than one length of this 84mm manila rope, please order the total length in metres and when checking out put a note in the 'delivery notes or comments' box about the individual lengths you require. Have you read our Q&A pageregarding possible shrinkage and actual rope diameters and our Helpful Hintspage ? 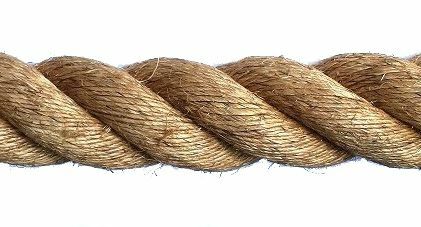 This manila rope has been manufactured in The Philippines and conforms to EN ISO 1181 – 2004.